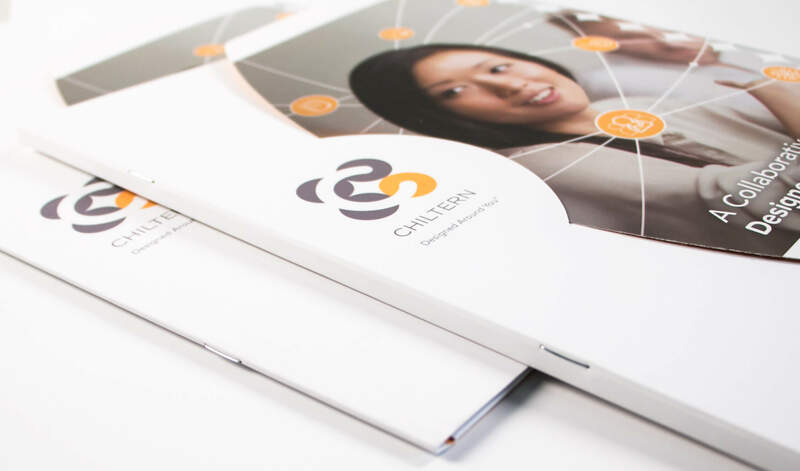 After launching its new website and trade show materials, Chiltern needed a customizable brochure that tied its capabilities back to its overarching message. 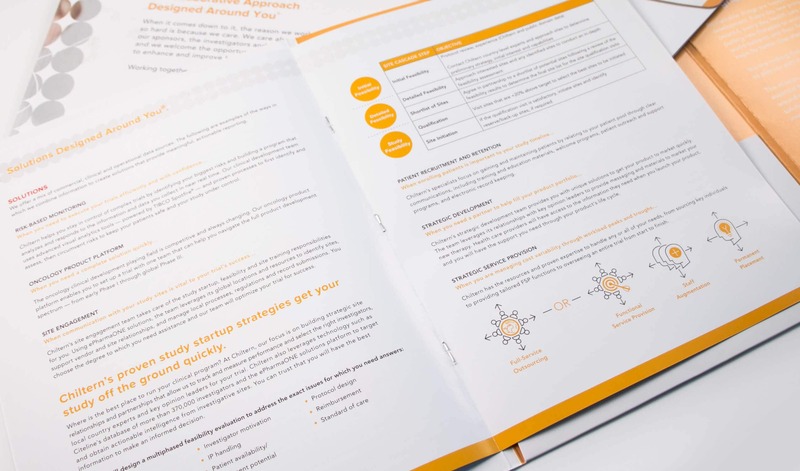 Having just repositioned the company’s strategic approach and focused its therapeutic areas, SCORR created a brochure with a pocket that would enable the Chiltern team to include insert sheets to tailor the message to each individual lead or trade show focus area. 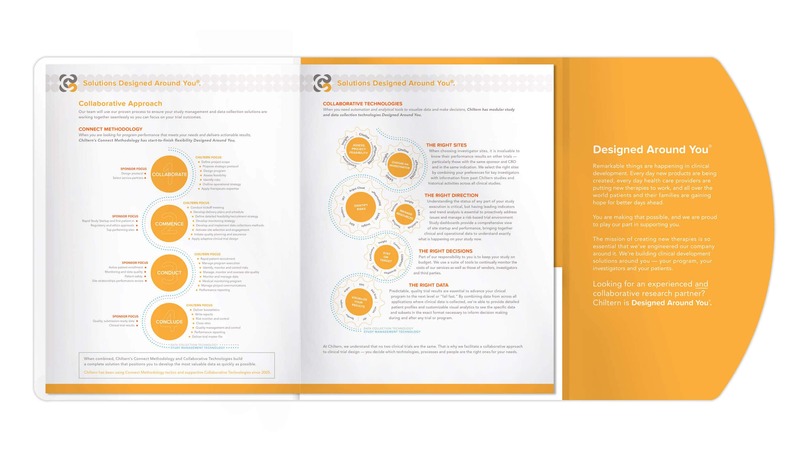 SCORR presented an overview brochure with a pocket as a manageable solution to the company’s need for a customizable piece. 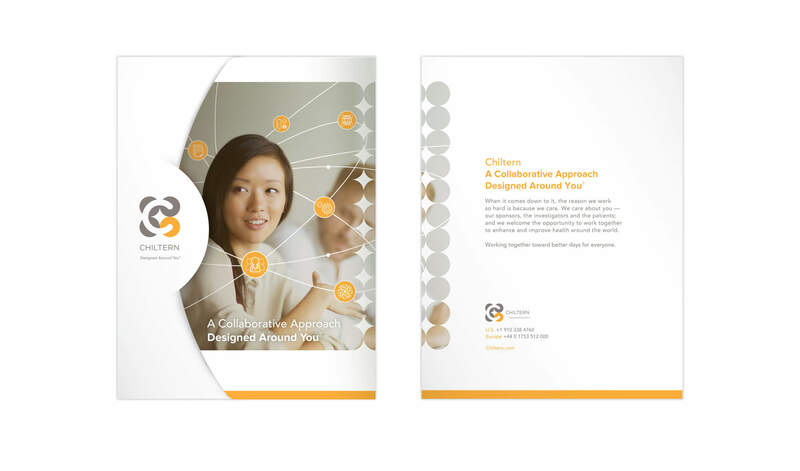 The team created a functional portfolio that contained Chiltern’s core messaging and a slot for business cards. 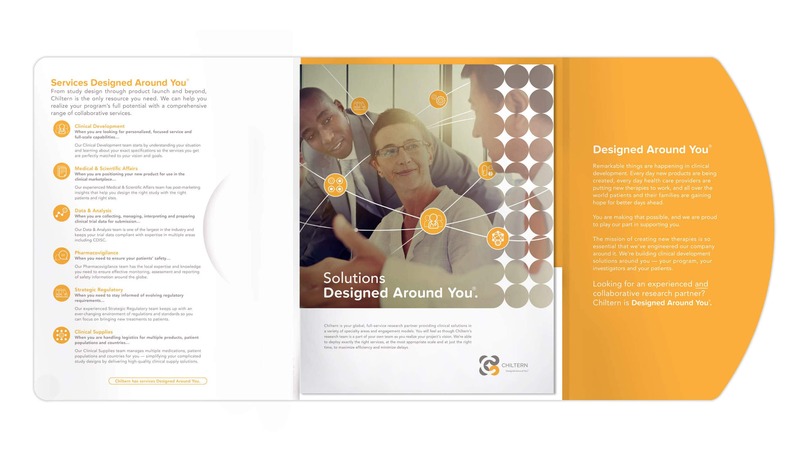 The brochure, saddle stitched into a folder, focused on the company’s services, solutions, industries and therapeutic areas while a pocket in the folder left space for more detailed insert sheets. 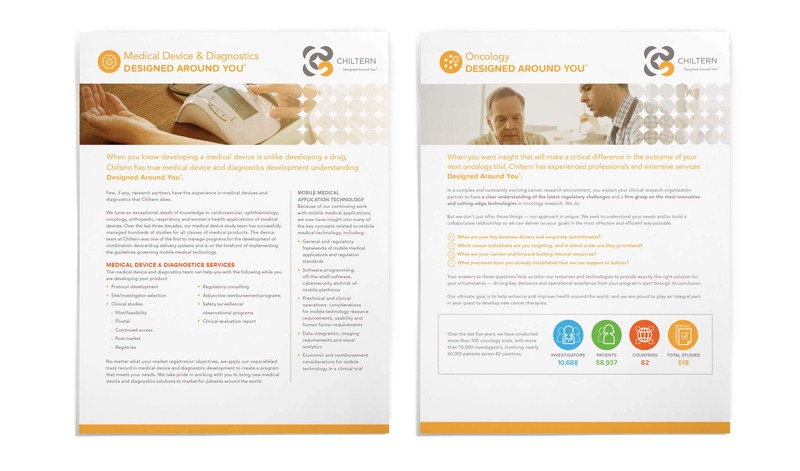 SCORR wrote, designed and produced seven separate insert sheets for Chiltern’s wide array of specialty areas, working side by side with Chiltern’s thought leaders to combine complementary service areas and to fine-tune language used by employees within each specialty. 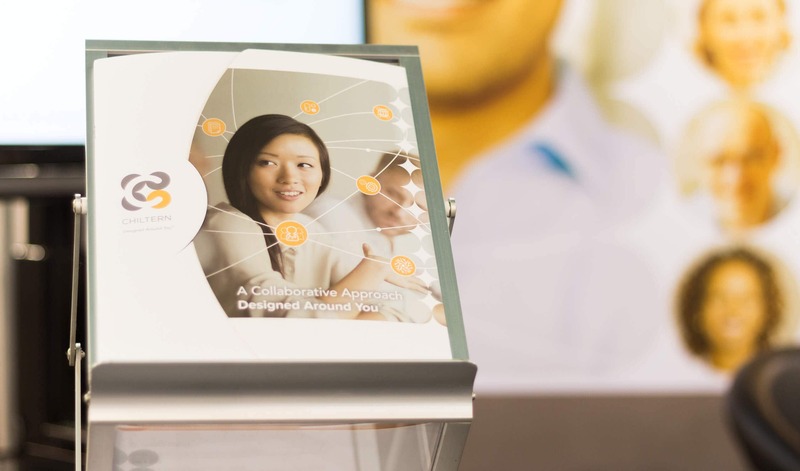 This customization allows the Chiltern team to cater its message to prospective clients on a case-by-case basis.